Public access.  The database is publicly available online via http://hp580.angis.org.au/tagbase/gutentag/. IMDD is a database of marsupial and monotreme immune gene sequences. The IMDD supports the work undertaken by researchers working on the tammar wallaby genome and transcriptome project. The main goal of IMDD is to fill gaps in the curation of immune genes by providing immune gene sequence annotations for published genome-wide expression studies and sequence information for divergent immune genes that are not hosted on any other public database. In February 2012, total of 2,935 genes, 602 expressed (538 tammar wallaby, 24 opossum, 16 platypus, 11 echidna, 6 red-necked wallaby, 4 brushtail possum and 3 bandicoot) and 2,333 predicted (1,639 opossum, 694 platypus), were stored in the database. In February 2012, the database included 1,985 published genome sequences. This includes protein and DNA sequences. The database may be added to over time. Data has been integrated from various published resources, which include expressed and predicted genes from opossum (1,663), tammar (37), brushtail possum (4) echidna (11), bandicoot (3), red-necked wallaby (6) and platypus (261). Manually annotated gene families include: major histocompatibility complex (MHC), leucocyte receptor complex (LRC), cytokine, defensin, cathelicidin, natural killer complex (NKC) and Fc receptor genes. For predicted genes, candidate gene regions were first identified using either BLAST or HMMER hidden Markov model searches. Following this, best hits were either concatenated into genes or used to predict a full gene model using a gene prediction program. 516 wallaby genes were annotated based on opossum genes identified in Wong et al. 2006  and Belov et al. 2007 . Of these, at least 217 were not annotated by Ensembl. Wallaby reads were derived from the pyrosequencing of wallaby thymus transcriptomes and annotated using the wallaby (v1.0) genome assembly (1,786 wallaby reads in total). 449 platypus gene sequences were obtained by concatenation of the highest-scoring IRIS  BLAST hits against the platypus genome assembly (v5.0) (Unpublished). Of these, 366 genes were not annotated by Ensembl (version 58). The human immune gene set comprises of 1,528 genes . If we expect a similar number of genes in marsupials, the percentages of immune-related genes annotated are: >90\ in opossum, ~46\ in platypus and ~38\ in the tammar wallaby. 1. Wong E, Young L, Papenfuss A, Belov K: In silico identification of opossum cytokine genes suggests the complexity of the marsupial immune system rivals that of eutherian mammals. Immunome Research 2006, 2(1):4-4. 2. Belov K, Sanderson CE, Deakin JE, Wong ES, Assange D, McColl KA, Gout A, de Bono B, Barrow AD, Speed TP et al: Characterization of the opossum immune genome provides insights into the evolution of the mammalian immune system. Genome Res 2007, 17(7):982-991. 3. Kelley J, de Bono B, Trowsdale J: IRIS: a database surveying known human immune system genes. Genomics 2005, 85(4):503-511.